Who will stand with Nicolas Cage as the world comes to an end? Turns out Lea Thompson. THR reveals the Back to the Future star has signed on to play Cage’s wife in the in-production reboot of the Rapture-centered drama Left Behind. Thompson joins a cast that also includes One Tree Hill star Chad Michael Murray, Big Love’s Cassi Thomson, Hall Pass’s Nicky Whelan, The Blind Side’s Quinton Aaron, and pop star Jordin Sparks. The Left Behind books were first adapted back in 2000 with outspoken evangelical Christian Kirk Cameron as its headliner. But as that was a video release with no names aside from the former child star, this Left Behind is expected to surpass the success of the original. 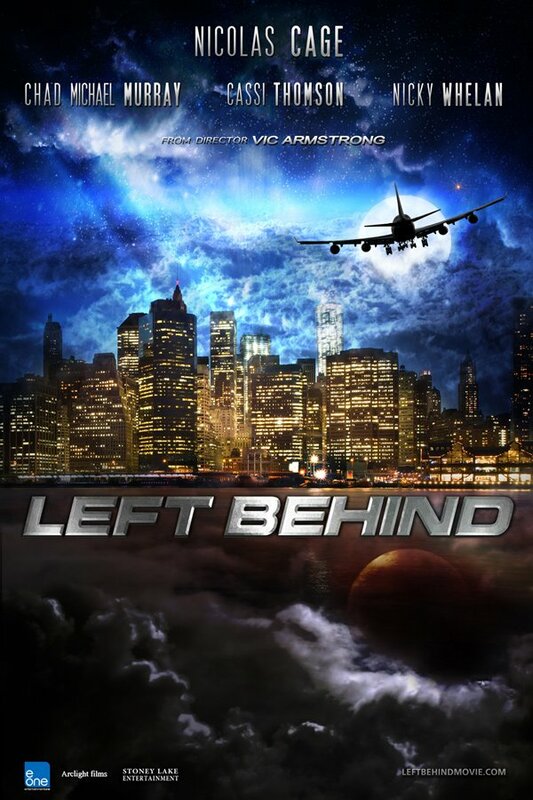 Posited to be the first in a trilogy, Left Behind has Cage playing Rayford Steele, a jumbo jet pilot who has the tricky task of calming down his passengers when all hell breaks loose (possibly literally). Lea Thompson will play the wife he seeks to find in the wasteland of the world with the help of his daughter Chloe, played by Cassi Thomson. Fittingly former TV teen heartthrob Chad Michael Murray will take on the role of Buck Williams, which Growing Pains’s Cameron formerly played. While facing the end of the world can’t be easy, I imagine it’s easier with your family by your side. I mean, as long as you got each other. Left Behind is now shooting in Baton Rouge, Louisiana. But you can check out its brand new teaser poster below.